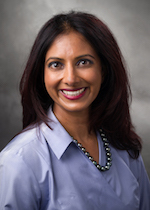 Dr. Una Shah is board certified, having completed a dermatology residency at the University of Missouri. She obtained her medical degree from Southern Illinois University School of Medicine. She began her career in a group private practice in August 2000, and now has opened her own practice in Barrington. She is on staff at Good Shepard. She is a member of the American Academy of Dermatology and the American Society for Dermatological Surgery. Dr. Shah is also a national speaker and educator to other healthcare professionals on topics such as acne, eczema, and skin cancer. She is an active speaker in the community as well, and is regularly found doing skin cancer screenings at local hospitals, nursing homes, and community centers. even minimize the appearance of pore size. to maintain your rejuvenated look. Our office is located at 905 Fox Glen Ct in Barrington.